Lets make these cabbage wraps. It is getting closer to Chinese new year (Jan 31 this year) so I am always looking for new and unusual Chinese themed recipes. 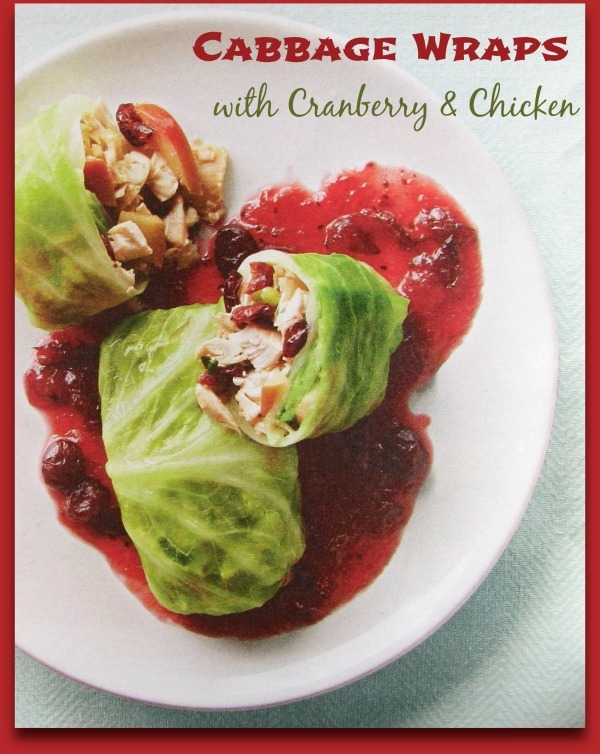 This wrap features the tangy tartness of cranberries, mixed with fresh rotisserie chicken, all wrapped up in a large cabbage leaf to help save on calories. The apples and cranberries compliment each other well and go perfectly with the chopped chicken. The recipe is easy to do and so delicious. It makes a healthy week day meal and is on the table in 30 minutes. What a great choice for a Chinese New Year celebration! 1 14 oz can of whole cranberry sauce. Preheat the oven to 350º F. Place the cabbage leaves in boiling water about 4 at at time. Cook for 2-3 minutes until the leaves are just wilted but the color is still quite green. Heat the olive oil in a non stick skillet. Add the chicken, apple, cranberries, onions and cumin and cook until heated through and the apple just starts to soften. Season to taste with salt and pepper. Divide the mixture evenly in the cabbage leaves and roll up, being sure to tuck in tall the sides. Spread the cranberry sauce in the bottom of an oven proof baking dish. Add the cabbage rolls with the seam down. Cover with foil and bake for 15 minutes until heated through. Recipe has been adapted slightly from one I found in Better Homes and Gardens Magazine.